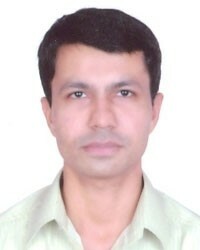 Sunil Dani joined ITER on 2 March as Senior Designer and Technician within the Tokamak Department. Before coming to ITER he worked at Institute for Plasma Research in Gandhinagar, India, where he'd been since 1997 as part of the Radio Frequency group with responsibility for procurement, assembly, installation and commissioning of mechanical components, and rigid coaxial transmission line. He also assisted in the design of mechanical components. He lives in Manosque with his wife and two sons who are one and seven. In his spare time he enjoys reading, playing with his children, and helping his wife to prepare meals.